Park, S. (2018). International Organisations and Global Problems: Theories and explanations. Cambridge, UK: Cambridge University Press. Park, S. (2010). 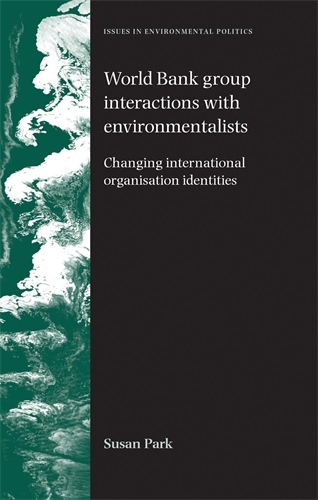 World Bank Group interactions with Environmentalists: Changing International Organisation Identities. Manchester, UK: Manchester University Press. Park, S., Strand, J. (2016). Global Economic Governance and the Development Practices of the Multilateral Development Banks. Abingdon: Routledge. Park, S., Vetterlein, A. (2010). 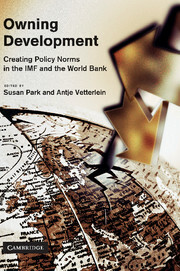 Owning Development: Creating Policy Norms in the IMF and the World Bank. Cambridge, United Kingdom: Cambridge University Press. Park, S. (2018). Constructivism. In Thomas Weiss and Rorden Wilkinson (Eds. ), International Organization and Global Governance, (pp. 146-156). London and New York: Routledge (Taylor and Francis). Park, S. (2009). International Organizations: Agents of Change in the Twenty-First Century? Politika Annual Journal, 16-22. Park, S. (2007). The World Bank under Wolfensohn. Global Governance: A Review of Multilateralism and International Institutions, 13(2). Upcoming. Keynote speaker at the Earth Systems Governance conference in Utrecht, November 2018, learn more here. Park, S. (2018). Environmental Justice and the Asian Development Bank. Asian Studies Association of Australia conference, Sydney: Asian Studies Association of Australia conference. Learn more here. Park, S. (2018). The Declining Independence of the World Bank Inspection Panel?. International Political Studies Association annual conference, Brisbane: International Political Studies Association annual conference. Learn more here. Park, S. (2018). Greening the European Bank for Reconstruction and Development through Accountability?. International Studies Association Annual conference, San Francisco: International Studies Association Annual conference. Learn more here. Park, S., Kramarz, T. (2014). Conceptualising 'Accountability' in Global Environmental Governance: Can there be a Single Definition? Norwich Conference on Earth System Governance: Access and Allocation in the Anthropocene, Norwich UK: Norwich Conference on Earth System Governance. Park, S. (2014). Hegemony for Good: The US, Coercive Isomorphism and External Accountability for the Multilateral Development Banks. Oceanic Conference of International Studies, 2014 (6th), Melbourne: Oceanic Conference on International Studies (OCIS). Park, S., Vetterlein, A. (2014). The Power of Norms: Norm Decline in International Organizations. International Studies Association Conference 2014, USA: International Studies Association. Park, S. (2013). What Role Does Organisational Culture Play in Explaining Change in the Multilateral Development Banks. International Studies Association Conference 2013, San Francisco: International Studies Association. Park, S. (2009). Risking Business? Environmental Advocacy and the World Bank's Multilateral Investment Guarantee Agency. 50th International Studies Association Annual Conference ISA 2009, United States: International Studies Association. Park, S. (2008). Assessing the Accountability of the World Bank Group. 49th International Studies Association Annual Conference, San Francisco: International Studies Association. Park, S. (2008). The World Bank: Owning Global Safeguard Policy Norms? 80th Annual Conference of the Canadaian Political Science Association, 2008 (CPSA 2008), Canada: Canadian Political Science Association. Park, S. (2007). Greening Up: The World Bank Group in Global Environmental Governance. 48th Annual International Studies Association Convention 2007, Tucsin, Arizona: International Studies Association. Park, S. (2007). Norm Contetsation: World Bank's Sustainable Development. 48th Annual International Studies Association Convention 2007, Tucsin, Arizona: International Studies Association. Park, S. (2006). UNEP's Finance Initiative: Beyond Bluewash? International Studies Association 47th Annual Convention (ISA 2006), Tuscon,Arizona: International Studies Association. Park, S. (2004). Greening Political Risk: Transnational Advocacy Networks And The World Bank Group. 1st Oceanic Conference on International Studies 2004, online: Australian National University (ANU). Park, S. (2003). 'Greening' the international finance corporation: transnational environmental advocacy networks and sustainable development. Australasian Political Studies Association Conference 2003, Australia: University of Tasmania. Park, S. 2016 "Former UN High Commissioner for Refugees Antonio Guterres expected to become next UN Secretary-General", The World Today, Program, ABC Radio, 6 October, available online here. Park, S. 2012 "Analysts Say UN Security Council Seat Delivers Bang for Buck", The World Today, Program, ABC Radio National, 19 October 2012, online here. Park, S. 2012 "Security Council", ABC Midday Report, News Television Program, 19 October 2012. Park S. 2017 "Accountability, Policy and Environmental Governance". Sydney Environment Institute, Published 25 January 2017, online here. Park, S. 2016: “Accountability in Global Environmental Governance: A Meaningful Tool for Action?” Environment Lab, Munck School of International Affairs, University of Toronto, Canada, February 25. Park, S. 2016: “Accountability in Global Environmental Governance: A Meaningful Tool for Action?” Department of Government and the Department of Natural Resources, Cornell University, United States, February 23. Park, S. 2016: Accountability in Global Environmental Governance: A Meaningful Tool for Action?” Yale School of Forestry and Environmental Affairs, Yale University, United States, February 22. Park, S. 2015: "Institutional Isomorphism and the Multilateral Development Banks," New Zealand Government's Department of Treasury, Wellington, October 7. Park, S. 2014: "Accountability Mechanisms of the MDBs: How do they compare?," Symposia of all the Accountability Mechanisms, European Bank for Reconstruction and Development, London, UK, September 14. Park, S. 2013: “US influence in the Multilateral Development Banks,” Institute for Global and International Studies, the Elliott School of International Affairs, George Washington University, U.S, October 3. Park, S. 2013: “Institutional Isomorphism, the Multilateral Development Banks and the Diffusion of Accountability Mechanisms,” Lee Kuan Yew School of Public Policy, National University of Singapore, Singapore, March 28. Park, S. 2013: “Accountability Mechanisms for the MDBs: The Case of the ADB” Innovations in Transnational Accountability workshop, the University of Melbourne, Melbourne, March 21. Park, S. 2012: “Something Old, Something New; Something Borrowed, Something Blue? Institutional Isomorphism and the Asian Development Bank’s Accountability Mechanism” Global Development Group, University of Aberystwyth, U.K November 12. Park, S. 2012: “Something Old, Something New; Something Borrowed, Something Blue? Institutional Isomorphism and the Asian Development Bank’s Accountability Mechanism” School of the Social Science and Humanities, Murdoch University, October 25. Park, S. 2012: “Something Old, Something New; Something Borrowed, Something Blue? Institutional Isomorphism and the Asian Development Bank’s Accountability Mechanism” School of Politics and International Relations, ANU, 7 August. 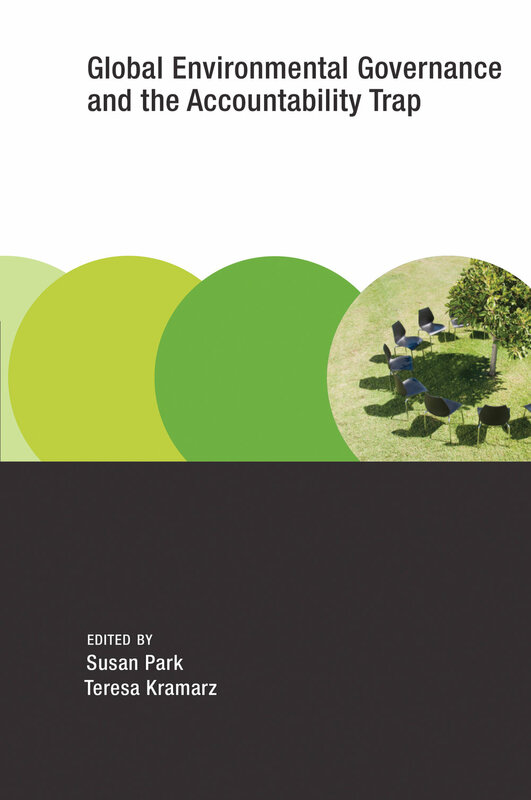 Park, S. 2009: “Owning Development: Creating Global Policy Norms in the IMF and the World Bank” International Center for Business and Politics, Copenhagen Business School, Denmark, June. Park, S. 2009: “The Social Design of International Institutions: External Accountability Mechanisms for Multilateral Development Banks” Department of Political Science and International Studies, University of Birmingham, U.K April. Park, S. 2009: “The World Bank: Owning the Global Safeguard Policy Norm?” Department of Geography, the London School of Economics, U.K January.